There is a ton of helpful information about animal welfare in these podcast. I used to really enjoy this podcast, but it has gotten less regular and less compelling over time. The academic critical viewpoint and vocabulary becomes tiresome. It's too academic at times, and can be a little alieating for people who are not academics. The show has gone from being thought-provoking, informative, regular, and well-put-together to being an occasional episode with various hosts. This lack of regularity is disappointing, and I have the feeling that it's a sort of on-the-side podcast to be done when there's nothing better to do.The hosts tend to speak fast and not always clearly; the sound quality isn't always grea. In fact, sometimes it's so bad that I can't listen because the person at the other end of the phone interview is difficult to hear or scartchy. Usually this seems to happen with the subjects that most interest me. I miss the old days of it. They still do have some interesting and compelling hosts, and I know they're trying. It's just not the show it used to be. I'm so glad that I recntly found this podcast. The variety of subject matter and guests ensure that there's something for all tastes. I've been listening to this show for years, they have most of the AR community somewhere in there archives. 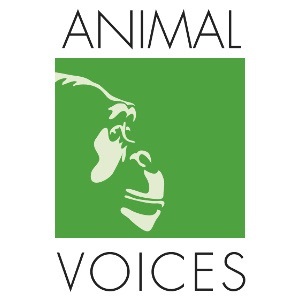 For vegans, vegetarians, and animal lovers everywhere, Animal Voices is a show that delivers excellent interviews, news, and unbiased views about animal rights and going vegan. AV is supportive of all their listeners, and will give you that vegan moment of serenity. This is such a great show. I love the news update and the interviews are so well done. The hosts give the subjects the gravity and intensity they deserve and are never flippant or frivolous but at the same time they aren't overly serious or preachy. They even have done some eye opening interviews with some very controversial figures without glorifying the interviewees; they were just amazingly respectful and evenhanded. Great guests, great subjects, great host. I learn something and am inspired and motivated with every episode. Wonderful show! This is a great podcast. Lauren hosts amazing guests--including Tricia Barry, the communications director of Farm Sanctuary (a stand-out episode for me)--I love the news at the beginning of the show. Worth subscribing to. This podcast is fantastic. Lauren is brilliant and never fails to ask compelling questions of those she interviews. There isn't any fluff in this podcast but even though the content and news is almost always negative, it is an honest reflection of the world in which we live and I always feel more informed and empowered after listening to it. I love it and highly recommend it! Animal Voices provides thoughtful articulate news and opinion surrounding all aspects of animal rights. Each episode breaks down into two basic sections news stories and interviews. The guests are incredible from activist filmmakers to feminist biologists to vegan bodybuilders to soy ice cream producers and much much more.